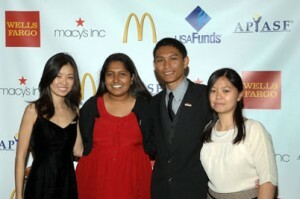 From left, Katy Zhao, recipient of the Gate Millennium Scholars Program, New York; Rakhi Agrawal, recipient of the APIASF/Met Life scholarship attending Columbia University; Rothpanhar Ross, 2009 APIASF/United Health Foundation scholarship recipient attending University of California, Berkeley; and Rebecca Yee, 2009 recipient of the APIASF/USA Fund scholarship, attending University of Pennsylvania. Washington, D.C. (Oct. 12, 2011) — The Asian & Pacific Islander American Scholarship Fund will recognize USA Funds, United Health Foundation and Dr. Bob H. Suzuki as part of its sixth annual Today’s Minds, Tomorrow’s Future Scholarship Benefit held November 1 at the Hilton New York. USA Funds and the United Health Foundation will be honored for their strong commitment to diverse communities, extensive contributions to the field of education, and broad support of APIASF, the nation’s largest nonprofit devoted to providing college scholarships to Asian American and Pacific Islander students. Dr. Bob H. Suzuki, President Emeritus of California Polytechnic University, Pomona, will be receiving the Higher Education Award for his long-standing commitment to education and efforts to support AAPI students. The annual event will bring together leading educators, community representatives, and business leaders who are committed to making higher education more affordable and accessible to those in the Asian American and Pacific Islander community. As part of the event, APIASF will also be hosting a free career development workshop for students and young professionals in the area. Since 2003, APIASF has provided a critical bridge to higher education by distributing more than $50 million in scholarships to deserving AAPI students through our two scholarship programs. In addition to the APIASF scholarship program, APIASF manages the Gates Millennium Scholars/Asian Pacific Islander Americans funded by a grant from the Bill & Melinda Gates Foundation. For details about APIASF’s Scholarship Benefit, visit APIASF’s Web site at www.apiasf.org. 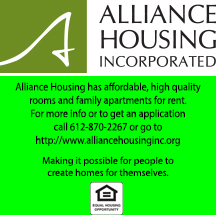 Also, follow APIASF on Facebook (www.facebook.com/apiasf) and Twitter (www.twitter.com/apiasf). Based in Washington, D.C., the Asian & Pacific Islander American Scholarship Fund (APIASF) is the nation’s largest non-profit organization devoted to providing college scholarships for Asian Americans and Pacific Islanders (AAPI). Since 2003, APIASF has provided a critical bridge to higher education for APIA students across the country by distributing more than $50 million in scholarships to students. APIASF manages two scholarship programs: APIASF’s general scholarship and the Gates Millennium Scholars/Asian Pacific Islander Americans funded by a grant from the Bill & Melinda Gates Foundation.